Dr. Jo-ann Archibald Q’um Q’um Xiiem found her purpose early in life. In high school in the ’60s, she was forced to navigate a system that either neglected Indigenous history and culture or reduced it to stereotypes. Despite living and feeling the legacy of colonial practices as a member of the Stó:lō First Nations, she recalled not knowing the full history until she studied at UBC. “I often felt ashamed about being Indigenous for what was taught in high school,” she said. So when she learned she had been appointed to the Order of Canada — one of the country’s highest civilian honours — Archibald was more happy about the award’s recognition of the value of Indigenous education than of her as an individual. “It’s my work, but more importantly, [it’s] the recognition about positive aspects of Indigenous education,” she said. 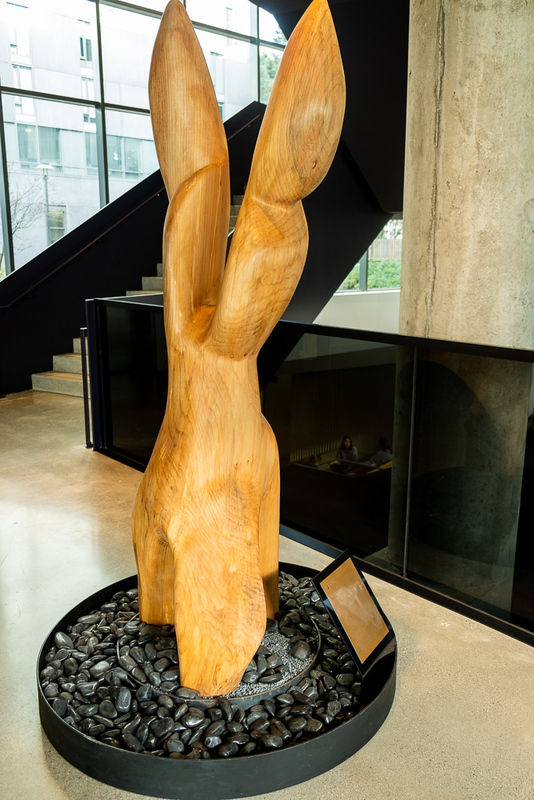 Despite retiring in 2017, Archibald still has a constant presence at UBC — a maple wood sculpture of a dancing flame honouring her legacy stands tall in the middle of Ponderosa Commons. Against the glass panels and modern architecture, the sculpture — carved by Anishinaabe artist and graduate from the Indigenous Teacher Education program (NITEP) Dave Robinson — exudes a warm glow, a quiet intensity much like Archibald herself. She also comes to campus twice weekly, working in her brightly lit office in the same building — an upgrade from the “old army huts” that used to house Indigenous education programs like NITEP earlier in her career, before the 1993 opening of the First Nations Longhouse. Sitting near the centre of the university now, Archibald reflected on her life's work of carving out space for Indigenous education as taking “a baby step” at a time. Much like her high school experience, her higher education and early career in the K-12 system were riddled with gaps in Indigenous perspectives and representation. She was often the only Indigenous teacher in the school district. Undeterred, Archibald responded by focusing on Indigenous topics in all her assignments and working with elders and communities members to include their ways of knowing in her teaching. Over time, she tackled the system itself. She became involved with NITEP to increase the number of Indigenous teachers, and expanded the effort as she rose to serve as the director of NITEP and the faculty of education’s associate dean for Indigenous education, amongst other leadership positions at UBC. 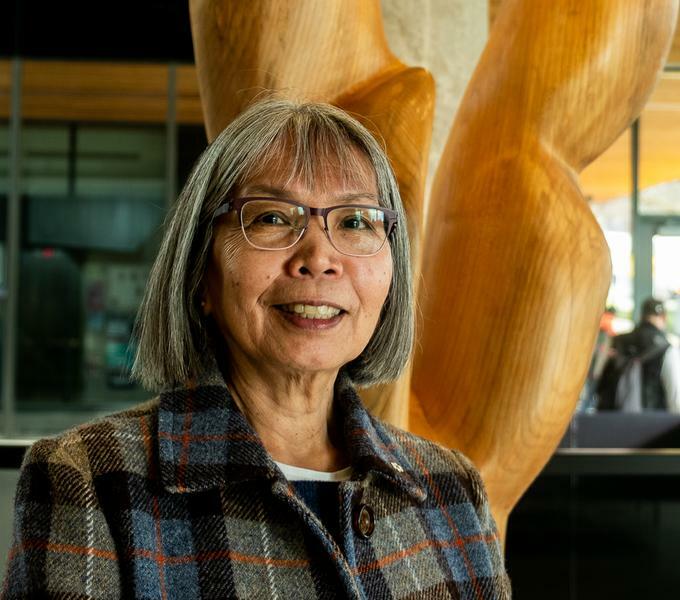 “The work I've done here at UBC was really more to change the systems and not to change the Indigenous person,” she said, recalling the effort to review admission policies and programs to ensure that Indigenous communities have input and decision-making roles. Those early days were a constant process of “educating, rationalizing and challenging” those who are in decision-making positions. But after decades of advocacy from her and many others, Indigenous education now has a much more central place on campus — from expanded programming to an established “home away from home” in the First Nations Longhouse, to an important place in UBC’s strategic plan. Archibald is optimistic about the future. She says the establishment of Truth and Reconciliation Commission of Canada and its 94 calls to action have allowed for “more awareness than ever before” about the need for including Indigenous history, culture and ways of knowing at all levels of education. But more needs to be done to sustain progress and continue pushing for Indigeneity’s place at the core of learning. For Archibald, this doesn’t have to be a required course taught on campus — instead, it could be meaningful programming based in Indigenous communities. She also wants to see more Indigenous representation in leadership roles. “There are more [Indigenous leadership positions] in not only associate deans but vice provost of Indigenous [affairs] at other universities and I think we need to have positions like that. But also Indigenous people in deanships and in vice-president roles,” Archibald said, before taking a slight pause. And this process starts with providing an environment that recognizes Indigenous knowledge and nurtures Indigenous students. “It’s important you find a program that you believe will honour your Indigenous community, that will help facilitate the way you want to learn and where there are people who will care about you as a student,” said Archibald.